Fruit Cocktail | Molina & Sons (PHILS.) 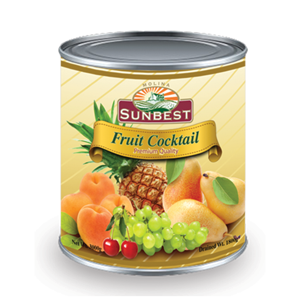 Inc.
Sunbest Fruit Cocktail is a mixture of pears,peach,grapes, pineapple and cherries. This mixture of fresh or preserved fruits are cut into pieces and served as an appetizer or dessert. It is also called fruit cap and commonly used as the main ingredient in making fruit salad and other fruit desserts. 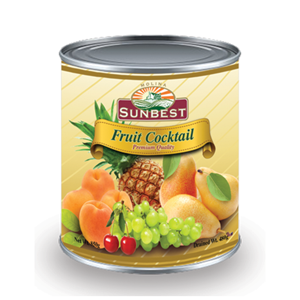 Sunbest Fruit Cocktail is also a delicious and healthy alternative to candy and other sweets or even your snack.